Let me set the record straight: I’m not pretending. “Disabled” is a strong word, but the fact is that I have a horrendously sprained ankle, and I’m on crutches, and it hurts every time my left foot touches the ground. I’ve been to the emergency room for X-rays. I’ve been to a foot specialist. I spent $70 on crutches and $150 for an aircast. I’ve been taking pain-killers every day and wrapping/elevating/icing my foot. I’m in bad shape, and it blows. When I first arrived at the airport (with four and a half hours of sleep), I checked my bag curbside and was offered a wheelchair. “How much extra will that cost?” I asked. Again, just to be clear, I’m truly injured, and I’m not happy about it, and I know that there are folks with far more severe disabilities, but I did enjoy being rolled through the airport and getting to bypass every line you could possibly imagine. I guess that makes me a horrible person. 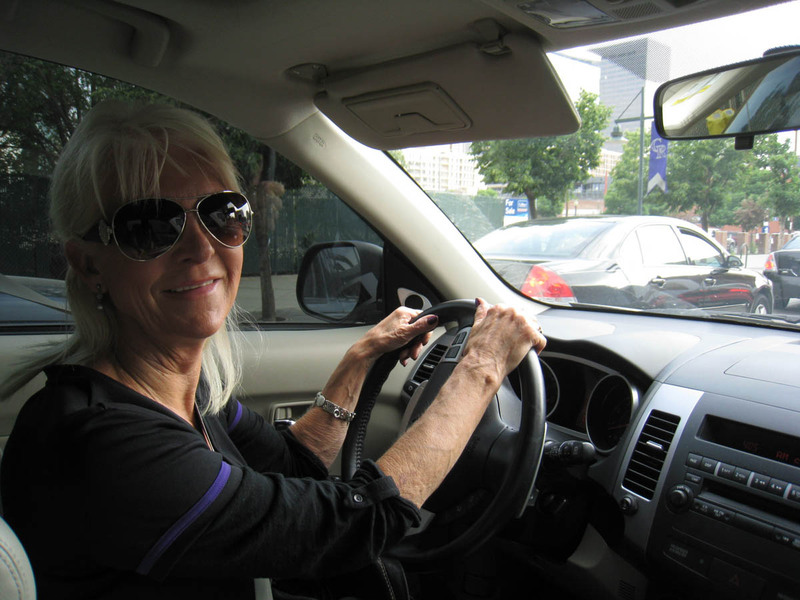 Once I made it to Denver, my friend (and honorary mom) Nettie Wood picked me up at the airport and gave me a ride to her place. Here she is in the car. That’s Robert Harmon. 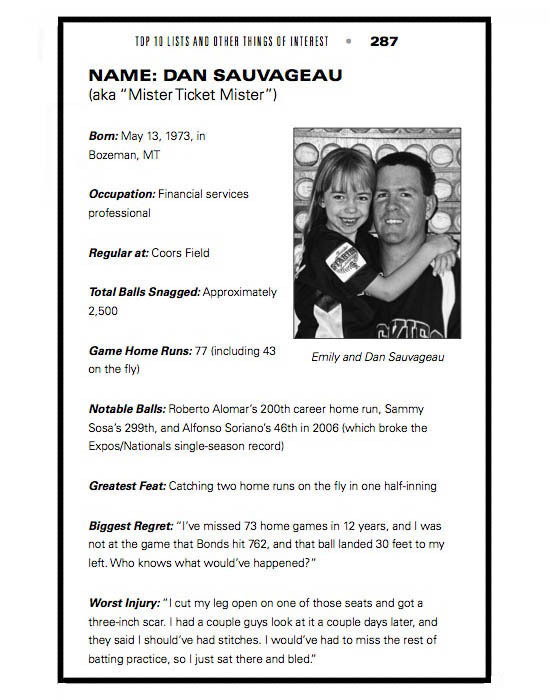 You might remember him from this article that I wrote about Barry Bonds’ 762nd career home run ball — and you might also recognize his name from pages 22-23 of The Baseball. 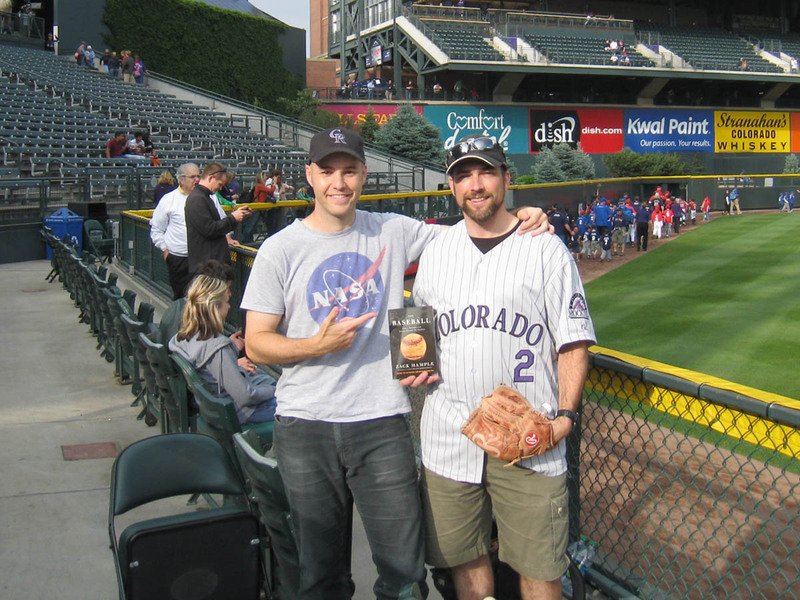 Robert used to be a diehard Rockies fan, but now (as you might have noticed based on his hat in the photo above), he roots against them. Because of several incidents that have taken place in the last year, he feels that he’s been unfairly targeted and bullied by team personnel, and as a result, he has pretty much stopped going to games. In the photo above, do you see the piece of paper to the right of my plate? 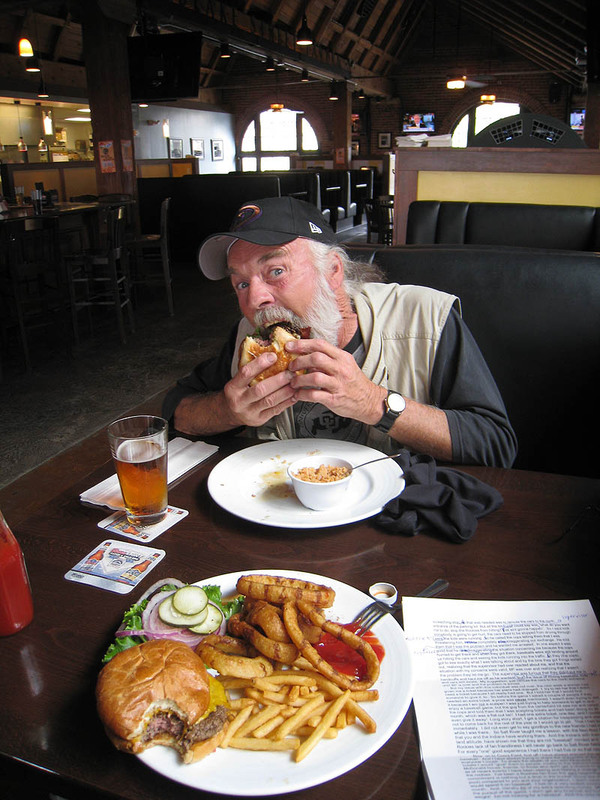 (That’s a buffalo burger, BTW.) That’s just one page of a long letter that Robert has written to the Rockies. 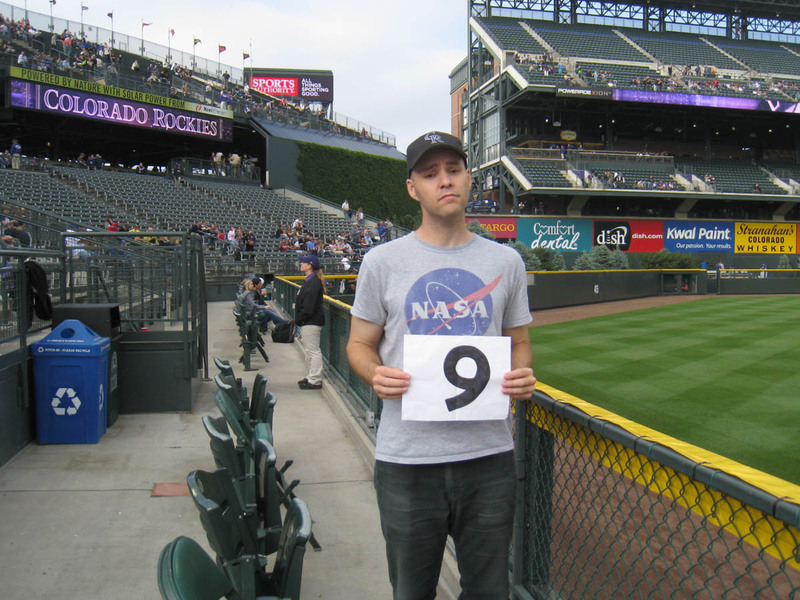 He’s still editing it and will soon drop it off at Coors Field. For the record, Dan has now snagged 80 game home runs, including 47 on the fly. …I was stuck in left-center. Pre-game throwing at the dugout? Not a chance. It was unbelievably frustrating not to be able to reposition myself throughout the day — not to use certain strategies when I *knew* they would’ve worked. I ended up giving away two of those baseballs to kids. See the Rockies lineup in the photo above? Show of hands: who here has heard of Charlie Blackmon? 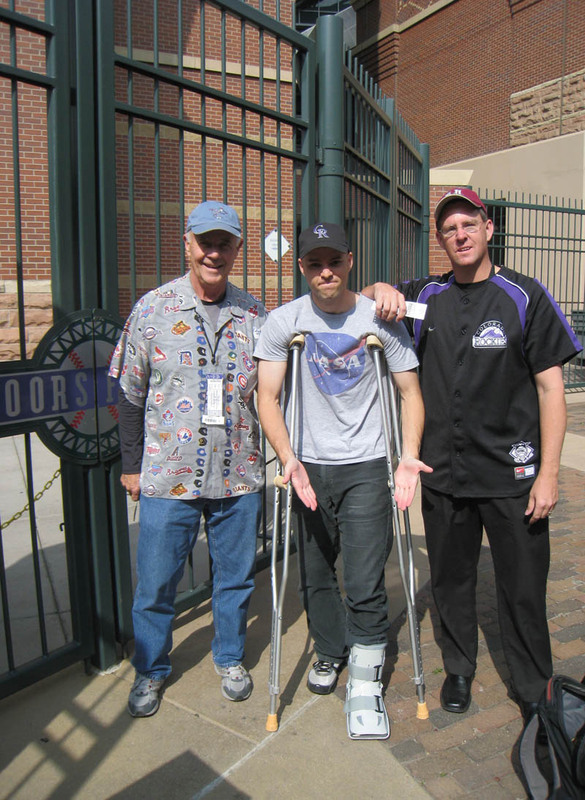 Another show of hands: based on the photo below, who here thinks that I’m “pretending” to be injured and that I’ve stooped to new lows by letting the players see my crutches during BP? Because this is the ninth major league stadium that I’ve visited this season. The temperature had dipped into the 40s, so I was wearing my gray hoodie — and if you look closely, you can see my aircast just over Tony Gwynn Jr.’s right shoulder. The Rockies were losing 4-0 after five innings, and they were trailing 7-3 at the seventh inning stretch. But they won. They scored five times in the bottom of the seventh and added an insurance run in the eighth. Final score: Rockies 9, Dodgers 7. There was only one home run in the game — a lazy, Coors-Field floater off the bat of Matt Kemp that barely carried over the wall in dead center and clanked off some guy’s glove. 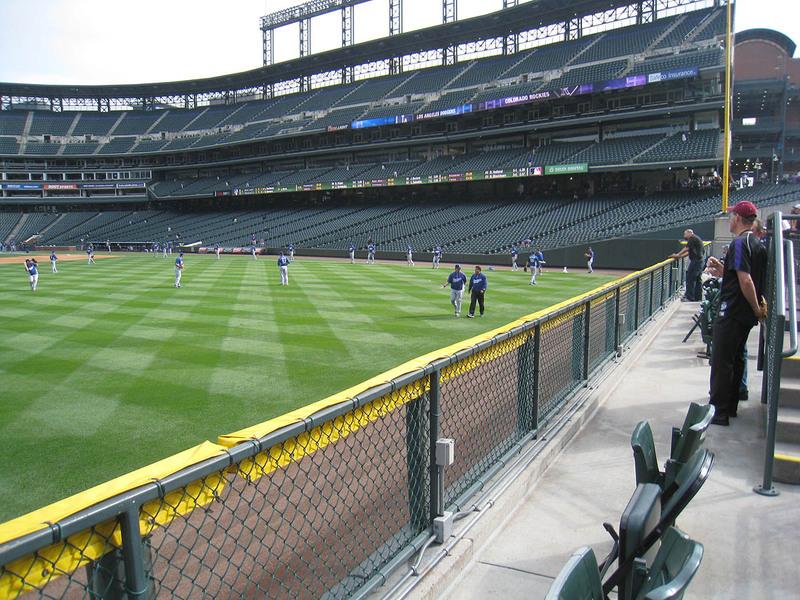 Someday, I’m going to catch a home run here. It might not happen on this trip, but it WILL happen. • 396 balls in 47 games this season = 8.43 balls per game. 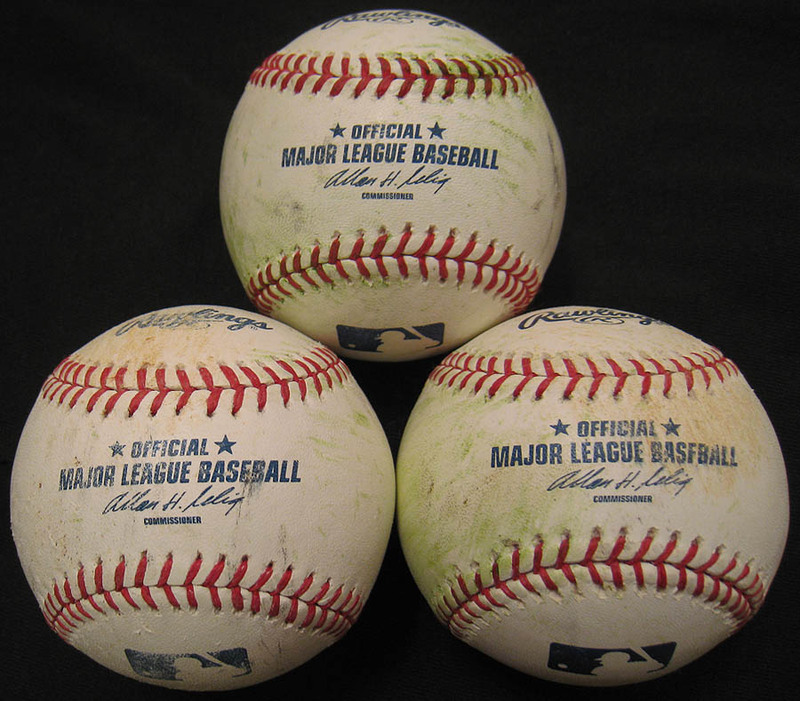 • 72 balls in 12 lifetime games at Coors Field = 6 balls per game. Great Blog entry, as usual. 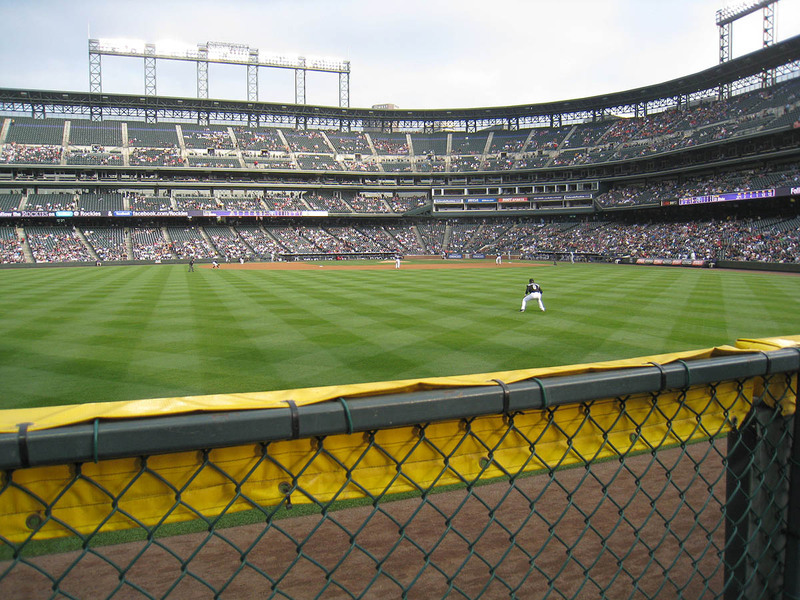 About the Robert Harmon story, did you happen to find out why Coors Field staff was harassing him? I thought Colorado was friendly. Unlike Dodger Stadium from my own personal experiences. Zack, don’t concern yourself and worry about what those fools are saying. I’m not trying to build you up here, but we all know what kind of person you are and that you wouldn’t intentionally do anything to hurt another person or take away from someone who needed help more than you. So keep doing your thing and ignore the negativity. It would be interesting to know the story behind Robert Harmon. I really would like to know what’s going on with Robert myself. I first heard he was unhappy with the Rockies organization from the Rockpile Ranter’s blog but he didn’t say much either. Hope it gets resolved because I chatted with Robert a couple of times and he seems like a pretty cool dude. 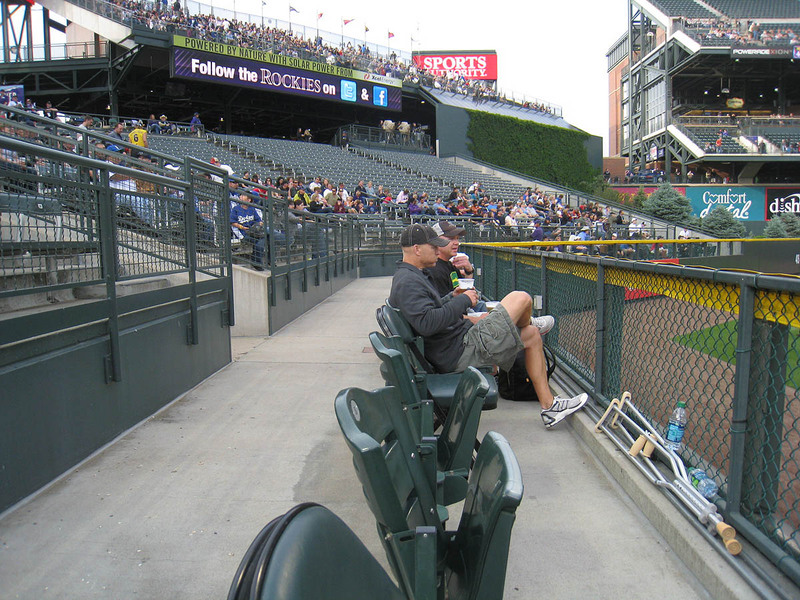 Haven’t been to a game this year though, hopefully I run into him at Coors or on the street and find out what’s up. 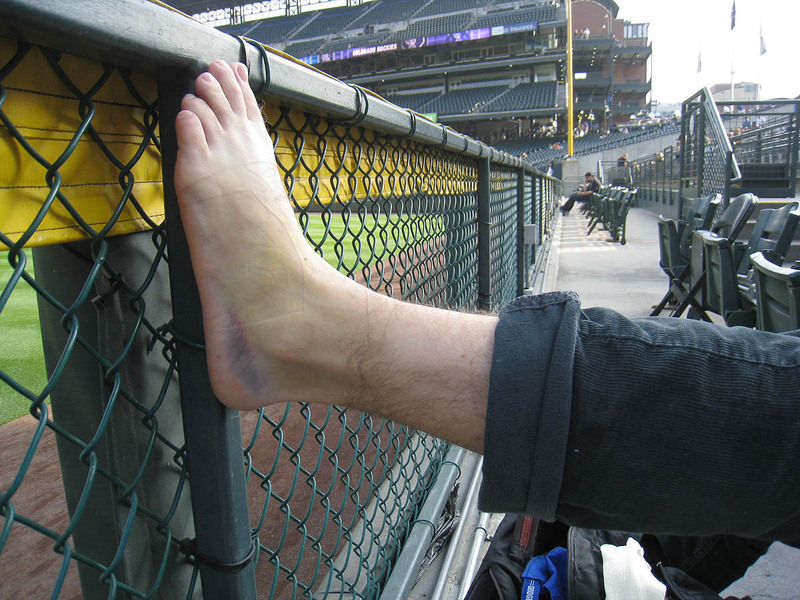 I cant believe that somebody would ever consider that you would be faking your injury, although it would probably be a descent idea for about one game. 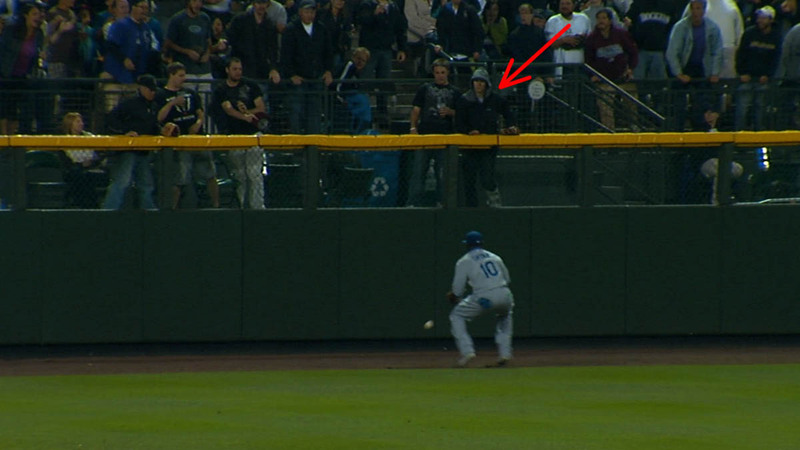 I was sure that it was you who snagged Matt Kemp’s homer when I saw it happen, but I guess I was wrong. With the crowd in the outfield who knows if you could have run over and retrieved that ball as it rolled down the tunnel in center. Well, good luck trying to snag a homer at Coors, this series would be idea if you were not injured, as Matt Kemp is the hottest hitter in baseball. Hope you feel better, and remeber to wear a Dodgers hat to one of the games this weekend. Good luck. Zack, just wanted to let you know that I met your honorary mom and husband at Whataburger Field if I remember correctly at the end of April 2011. Nettie took a picture of me using the glove trick on a ball by the left field berm. Nettie and Danny were extremely nice and I enjoyed their company during their brief stay. If you ever want to use the photo which Nettie took of me using the Glove Trick feel free to do so. My step-son is still amazed on how it works. I also want to hear the story of this Robert dude. I have actually heard of Charlie Blackmon. Only because I got one of his autographed baseball cards a few years ago. I have only checked in on him every few months to see what he is up to and see if the card is going up in value. So I have very little knowledge of him. Working on reading the book and it is great so far. I read the first section twice because I wanted to remember as much as possible so I can tell people completely off topic foul ball stories. But they are all very fascinating and some almost seem too funny to be true. Good luck with the rest of the season and especially with that ankle. I can’t believe that someone would think that you would fake an injury! You would never do something like that, only a selfish person would. By the way, just out of curiosity, what airline did you fly to Denver? I tried to figure out by the picture, but I couldn’t. Zack, is the expression on your face in the No. 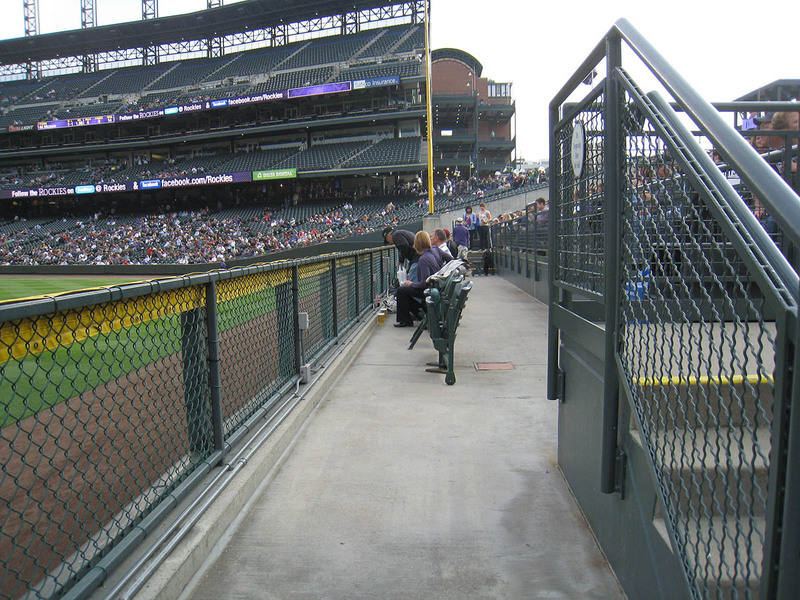 9 picture a reflection of your feelings about Coors Field itself or about your own inability to fully maximize your time at Coors Field due to the injury? June 11, 2011 - 8:41 am Shane T.
Fake, they say? I assume they think you’re enough of a Photoshop genius that you can add extensive bruising to your ankle to fool people. Really, I just don’t understand some folks. Did you get to ride the wheelchair through security? 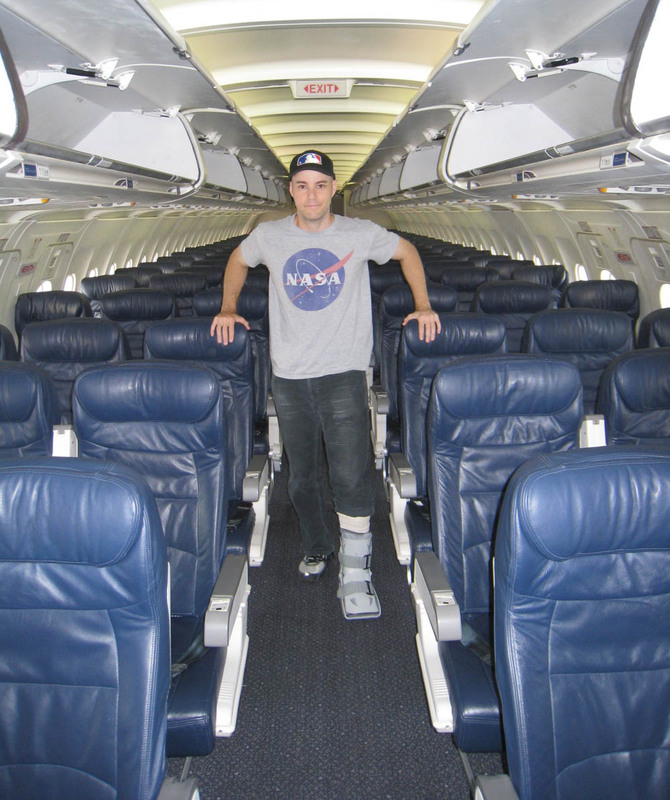 When I had to fly shortly after wrecking my ankle, I had to take off the aircast, send it through the X-ray machine, and stump through the metal detector like Long John Silver without a crutch. Extremely unpleasant. If you were spared that, God bless you. And if you weren’t, I feel for you. No fun. At all. Don’t feel too guilty about flashing the crutches to get some spherical love from the players. You need to take your little compensations where you can get them. 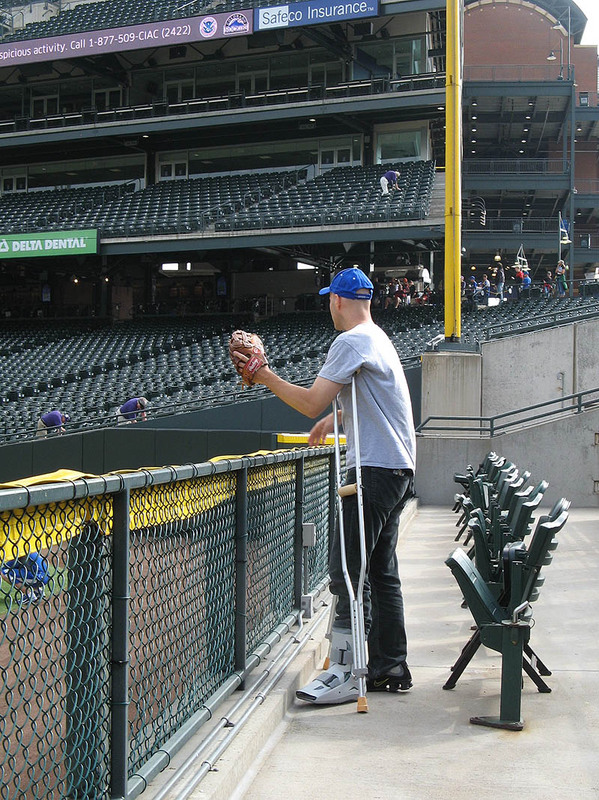 Be tough, keep ‘hawking through the pain, and oh yeah, don’t forget to enjoy Coors Field. Has to be really nice up there. Yeah, I’ve heard various sides to the story, but it’s too complicated to get into here. Well, I *do* care what people think. That’s why I acknowledged it and blogged about it. But still…thanks. I don’t expect everyone to love me, and I can certainly handle being criticized and insulted, but I don’t like it when I’m accused of lying. I’ll tell you in Seattle. I just don’t have the energy to type up a long explanation right now. He’s definitely a cool dude, but he’s kinda stuck in his ways, and he’s really opinionated, and that rubs some people the wrong way. Thanks. I’ve been wearing my Dodgers cap during BP. Is that good enough? Oh, that was you?! They told me about you. Very cool. I’ll tell you when I see you in Baltimore…if I ever make it back there. 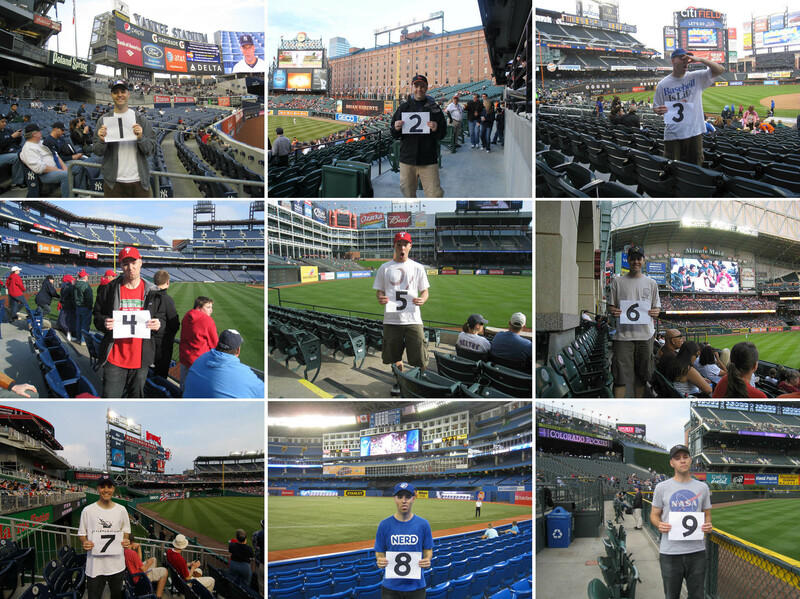 Yeah, I’m hoping to hit up all 30, but I still haven’t finalized my big end-of-the-season roadtrip. Gotta first make sure I can walk. Well, you win the “Charlie Blackmon Award.” (Not sure what the award actually is, but that sounds good, doesn’t it?) Glad you’re enjoying the book. Some people will believe anything. My “fake” injury is the least of it. As for the airline, it was United. I’m not even sure. All of the above. Ha, yeah, I got to wear my shoes through the metal detector, but then they sat me down and made me take them off and gave me a *thorough* inspection…which was fine. I got nuthin’ to hide. Anyway, thanks for the comment. Much appreciated. Zack, I got a chance to see Blackmon last season when he was with the Tulsa Drillers, the Double-A affiliate of the Colorado Rockies. Hi. I was wondering if you had robert harmon’s email address? I know this is a odd request but I would like to try and contact him. I see that you also emailed me, so I’ll answer you there. It’s so funny reading these from such a long time ago, because so many things have changed: “See the Rockies lineup in the photo above? Show of hands: who here has heard of Charlie Blackmon?” If you ever said that today, people would probably start to question if you were really a baseball fan haha. 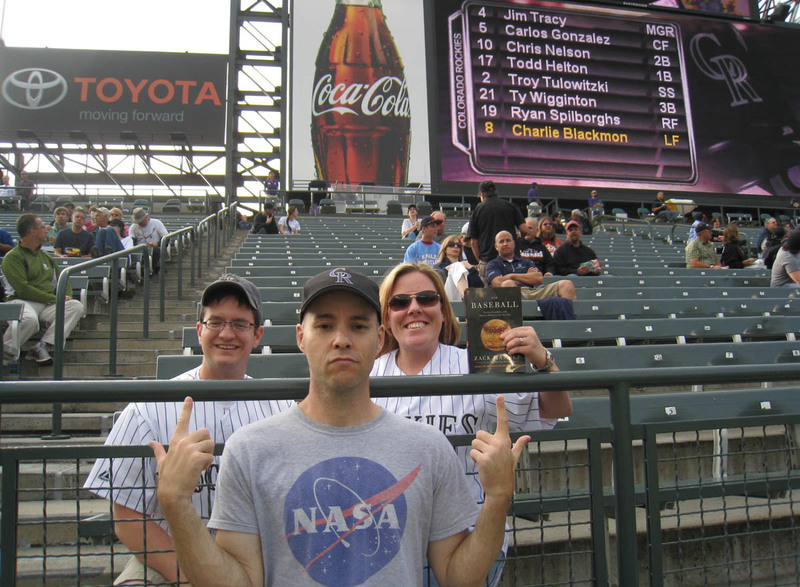 So last night isn’t the only time you’ve worn a NASA shirt to Coors Field, I’m sensing a theme here. Is it because the balls go so far there? (Probably just a stupid coincidence that I stupidly decided to bring up). P.S. Thanks for the picture, I was rooting for you on that Longoria HR that you just barely missed! I was wondering if anyone would notice. That’s why I wore it the first time. Note that they are two different shirts.